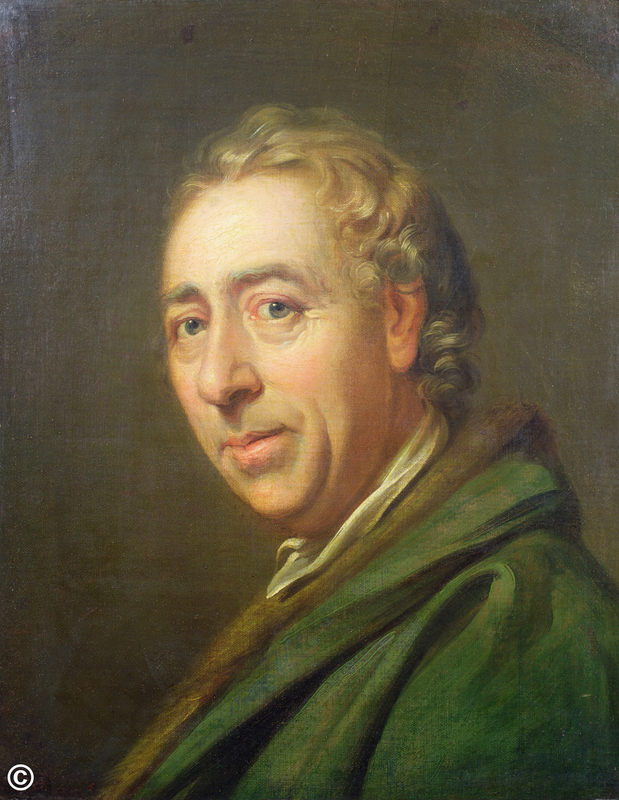 2016 marks the 300th anniversary of the birth of Britain’s most influential and famous gardener, Capability Brown. This remarkable English landscape gardener’s life and work is being celebrated in the latest exhibition at the Horsham Museum & Art Gallery. 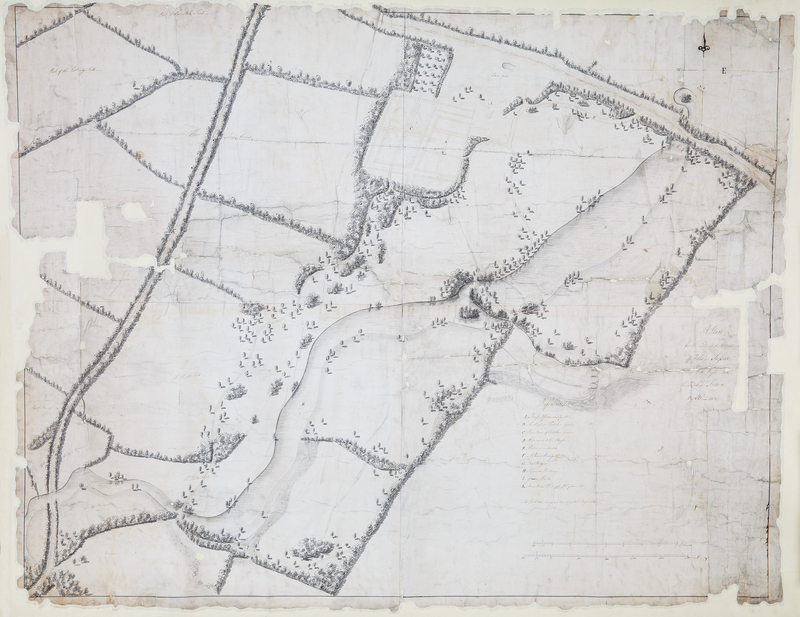 ‘Capability Brown in Horsham: Discovering a Lost Garden’ runs until the 12th March. The exhibition tells the story of how Lancelot ‘Capability’ Brown (1716-1783) designed and constructed a landscape garden around the Jacobean mansion Hills Place for the Ingram family. Brown also worked for the Ingram’s at their Yorkshire home, Temple Newsam, where his gardens can still be seen. The Hills Place gardens were located on the outskirts of Horsham, but were lost when the Duke of Norfolk ploughed them up to turn them into farmland some 50 years after the garden’s completion. 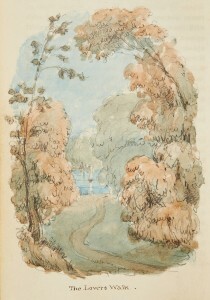 The exhibition includes Brown’s original designs for the garden, together with the survey conducted by his assistant, Lapidge, some two years earlier in 1766. The story is told in the context of the time with costumes, porcelain and objects from the period alongside botanical paintings and letters relating to Brown’s work. The letters reveal Brown’s uncompromising, ambitious nature, and relationship with his clients as he produced his landscape art. The qualities of the picturesque are alive in Capability Brown’s landscape gardens. He composed and constructed vignette views onto sweeping lawns, curving lakes and beautifully conceived woodland clumps of trees. It is as though they are in a painting. 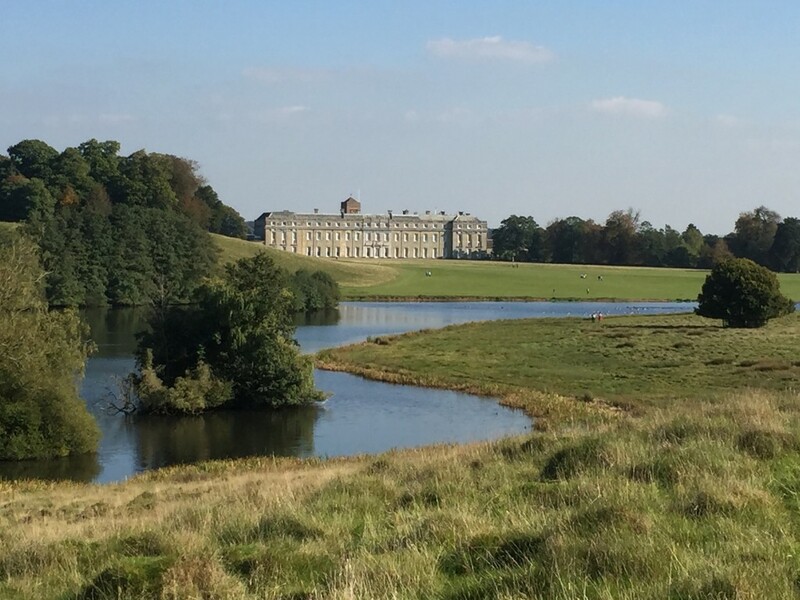 These features are apparent in his landscape garden at Petworth House and Park, preserved and maintained by the National Trust. It continues to delight and inspire visitors through the seasons of the year. This aesthetic was born out of the rococo in reaction to the formal straight lines and topiary of the French royal gardens designed by André Le Notre (1613-1700), which had been made popular in England in the late 17th and early 18th centuries by George London (d.1714) and Henry Wise (1653-1738). Together they had created the parterres at Hampton Court Palace, Chatsworth and Longleat. In early 18th century England there was a political desire, held by both the Whig government and Hanoverian King George I, to distance themselves from the excesses of the French Court at Versailles. This combined with a fascination for ‘unbounded nature’. In this climate Capability Brown’s park landscapes evolved in dialogue with his patrons. Perhaps this is why his idealised landscapes speak into the hearts and imaginations of the English and, in part, define us. Today his work can still be seen at Stowe, Blenheim Palace, and elsewhere, as well as at Petworth in West Sussex. In celebration of Capability Brown’s 300th anniversary Visit England has declared 2016 as the Year of the English Garden. Sussex has much to celebrate in her gardens. Jeremy Knight has once again delivered an extraordinary and timely exhibition. Jeremy and the Horsham District Council are deserving of our thanks. ‘Capability Brown in Horsham: Discovering a Lost Garden’ runs at the Horsham Museum & Art Gallery, The Causeway, Horsham, RH12 1HE, until 12th March 2016. I am delighted that Toovey’s are supporting this revealing exhibition. Entrance to the Museum and exhibition is free. 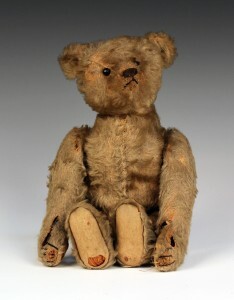 For more information go to www.horshammuseum.org or telephone 01403 254959. By Revd. Rupert Toovey. Originally published on 27th January 2016 in the West Sussex Gazette. 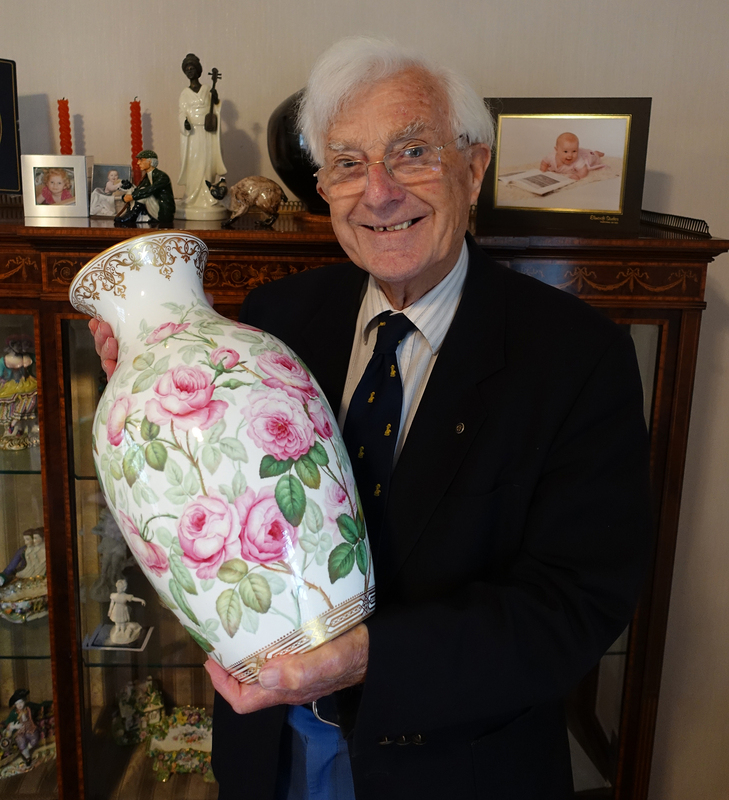 The celebrated Sussex ceramics historian, Geoffrey Godden, has for more than fifty years made an outstanding contribution to our understanding of this specialist field. I am excited that he has chosen to enter a number of pieces from his reference collection into Toovey’s specialist sale of English and European Ceramics, on the afternoon of Thursday 28th January 2016. Geoffrey Godden started in his father’s antiques business in Worthing and although he has an international reputation amongst ceramics collectors and historians he has continued to base himself here in Sussex. I ask Geoffrey what he first collected and he responds “Lowestoft was my first love. It was available and inexpensive. There is a homely quality to English blue and white. The anglicized interpretations of Chinese decoration are not over sophisticated; they are un-laboured, really, and painted by women and children. There is great appeal to individual handmade things made for use by individuals. It offers an affordable charm and blue and white is the right colour for porcelain!” Geoffrey explains how he corrected an earlier generation’s assumption (based upon a mistake by the ceramics historian, William Chaffers) that many of these English pieces were Chinese Export blue and white porcelain. There are a number of Lowestoft pieces in Toovey’s auction entered by another ceramics collector. Many summer holidays were spent by Geoffrey researching in Stoke on Trent. 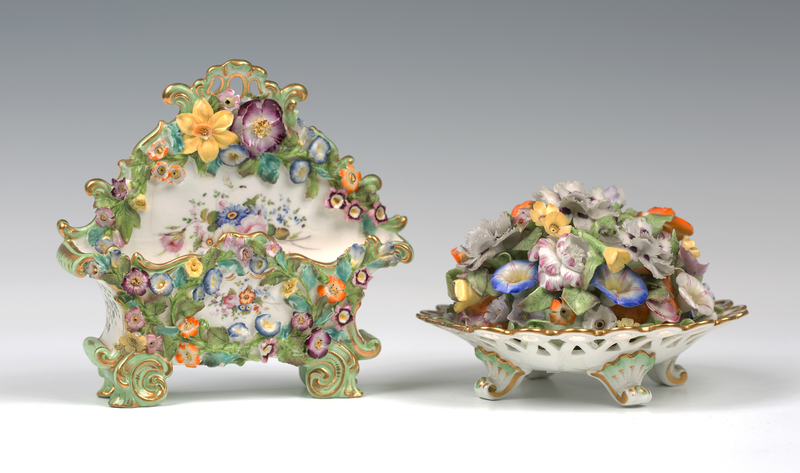 Pattern books from the 1820s and 1830s revealed that things that had been previously attributed to the Coalport factory in a generic way were in fact made by Minton’s. With appearances on the BBC Antiques Roadshow and Going for a Song with Arthur Negus Geoffrey has always had an ability to communicate his passion and understanding of his subject to others. 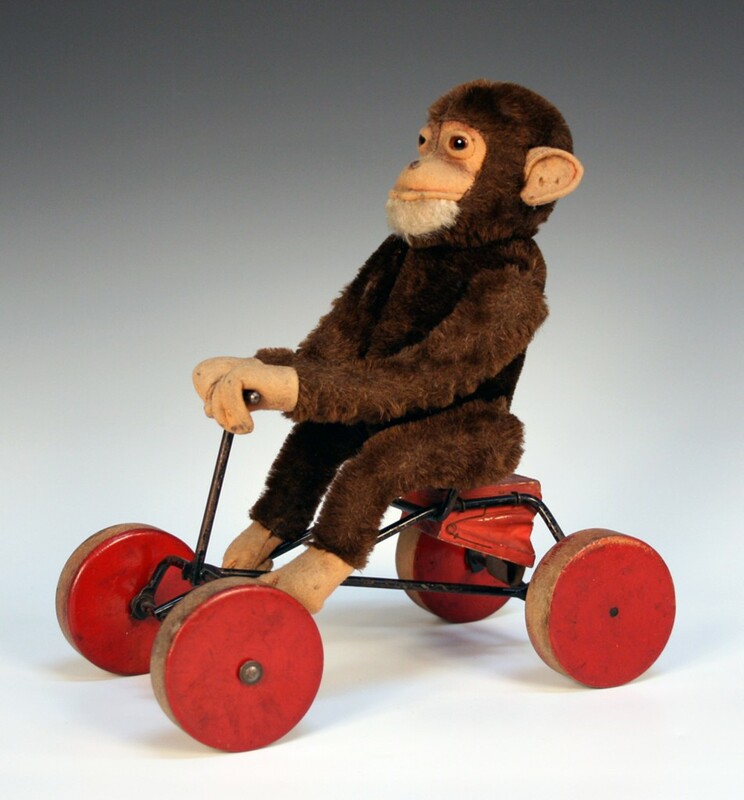 With understated pride he comments “I was an early specialist”. He has delighted in educating the public and remarks “For many years I held lectures and seminars where those attending could handle the reference collection which was displayed on open shelves. 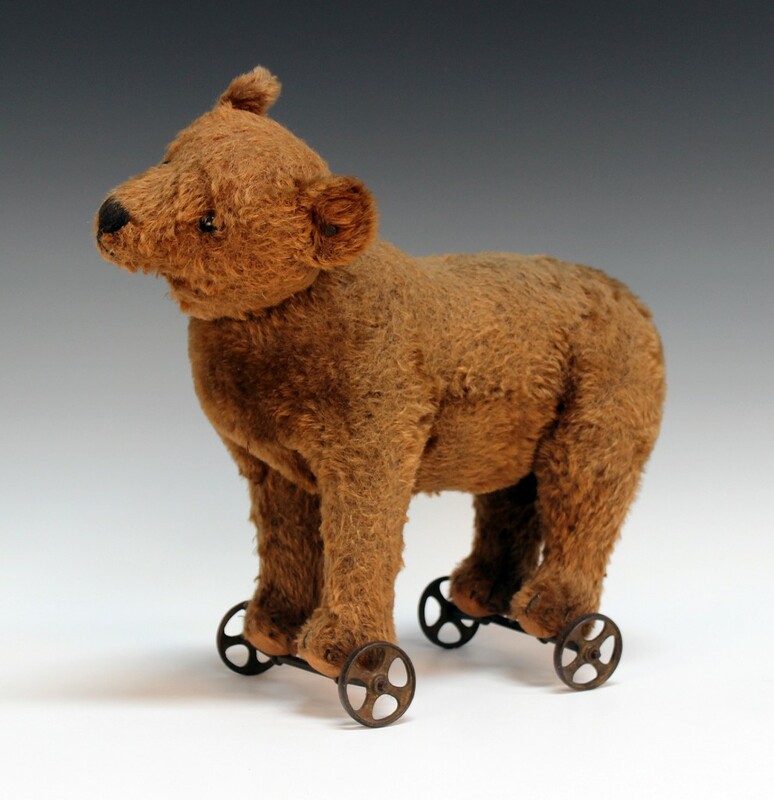 It was marvellous to see their appreciation of being able to do this and of the objects.” It is a selection of these reference pieces which are to be sold at Toovey’s. 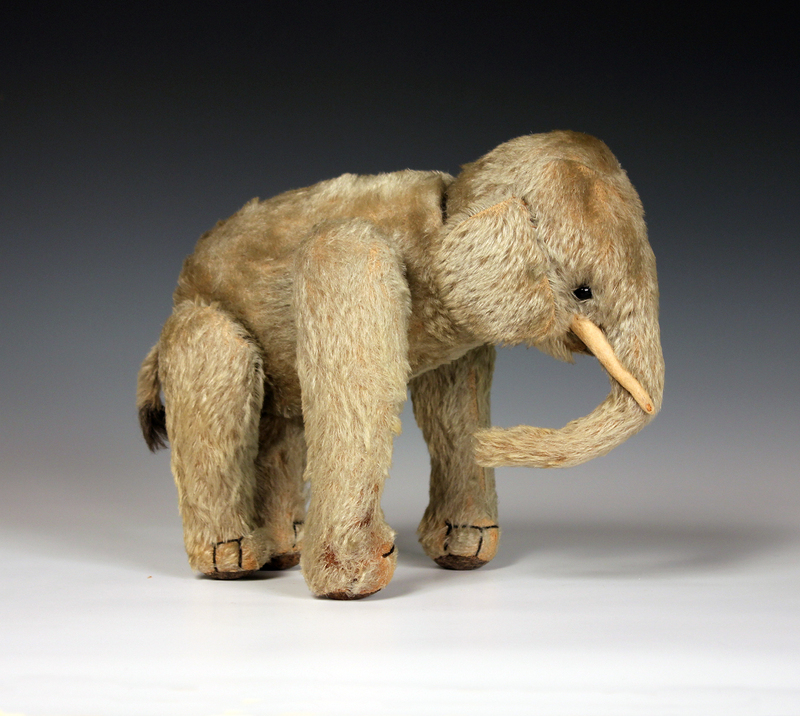 The opportunity to handle and own pieces from Geoffrey Godden’s reference collection comes at Toovey’s specialist auction of English and European Ceramics, on the afternoon of Thursday 28th January 2016. For more information and to preview these lots go to www.tooveys.com or telephone Toovey’s specialist, Tom Rowsell, on 01903 891955. By Revd. Rupert Toovey. Originally published on 20th January 2016 in the West Sussex Gazette.